Since long readers of our site have been commenting about poor after-sales support from Indian handset manufacturers like Micromax. Most of them advised others against going for Indian brands citing this very reason. 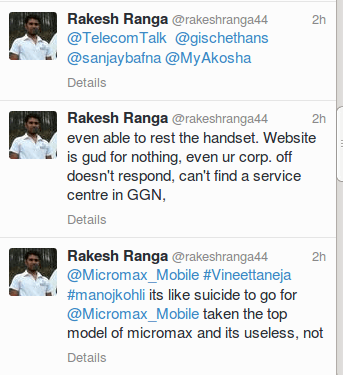 Today we received tweets from Mr. Rakesh Ranga who claimed that he was unable to approach Micromax support at all! 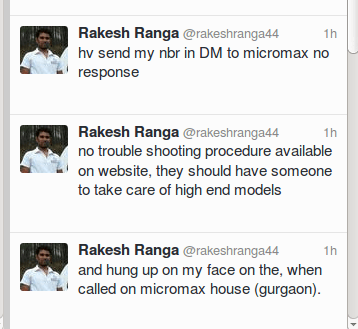 We contacted Rakesh over DM and he shared his experience with us (read bottom up)! 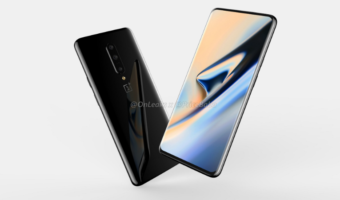 We dialled the Micromax’s customer support phone number 18605008286, but the call did not go through from multiple networks – Airtel and BSNL! 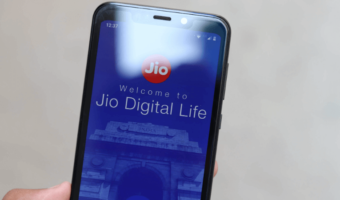 Now let’s assume Micromax does not offer round the clock support, but they could have played a recorded message requesting the caller to contact during office hours. Several reputed brands have such recorded messages for greeting customers who call after office hours. It however appears that users find it really hard to reach Micromax if we go by these comments on Micromax’s official facebook page in 2012 and 2013! It must be noted that Micromax has 2.2 mn fans on facebook but didn’t bother to reply to concerns till today! 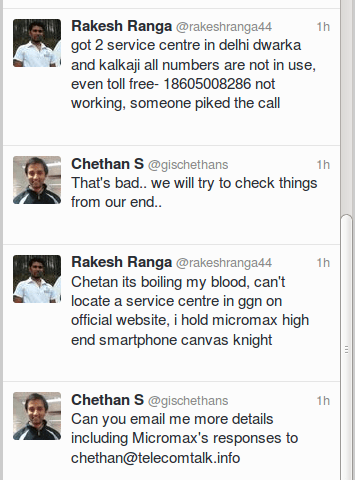 Even we were unable to locate a Service Centre at Gurgaon through Micromax website. We fail to understand why Micromax does not have a service centre in Gurgaon despite of having their headquarters there and is a noted technology hub! When Indian handset brands are competing with global brands like Samsung, Motorola and others, they can’t just ignore after sales support. The C-Level people of Indian brands keep talking about improving support but little seems to be done at least from Micromax’s side on this front. Many also have ambitions to go global! 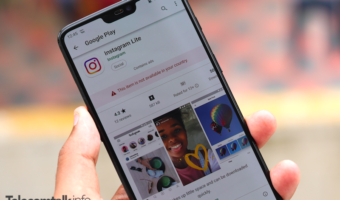 Micromax already has a presence outside India. Readers, have you faced issues similar to the above with Indian brands? Do let us know. Videocon uses Vodafone’s Help Content and Misses Out Editing Brand Name!